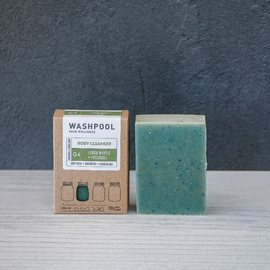 A mild and creamy bar for a gentle and soothing cleanse. 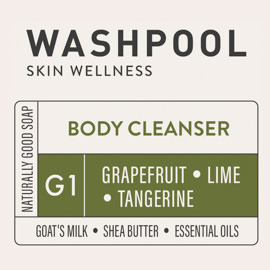 We understand how difficult and confusing it is to find a good cleansing product for your sensitive skin. If you've been to a doctor for relief from eczema or dermatitis, chances are they recommended you avoid soap. 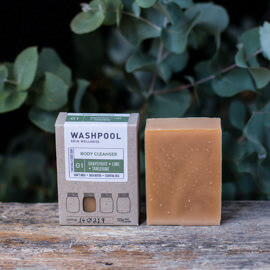 On the other hand, you have probably seen or heard people say their skin has benefited from handmade goats milk soap. While it's important for us to state clearly that our goats milk soap does not 'treat' eczema, dermatitis or any other medical condition we do believe that our goats milk soap can be a good choice for sensitive skin. 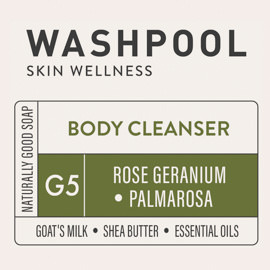 Goat’s Milk is extremely moisturising and helps soften & soothe the skin. The PH of goat’s milk is similar to that of human skin and is full of nutrients. Some people with sensitive skin that can’t tolerate other products find that goat’s milk soaps are helpful. We use fresh goat’s milk from our neighbours in our Goat’s Milk range. Shea butter is obtained from the nuts of the shea or karite tree in West Africa. It is helpful in moisturising and hydrating skin. Traditional african healers value it for its anti-aging and moisturising properties. cacao Butter, Castor, Coconut, Olive & Macadamia oils deeply penetrate and moisturise to leave your skin smooth & soft. Lavender & Geranium Essential Oils provide a sweet aroma and have a calming and grounding effect. The combination of fresh goats milk, oils, butters and essential oils results in a mild, creamy lather and you'll have peace of mind, knowing you're bathing with pure, natural ingredients. to help the skin heal itself by not exposing it to unnecessary chemicals. Saponified oils (olive, coconut, shea butter, macadamia, cacao butter, castor oil), goat's milk, essential oils (lavender, geranium, ylang ylang), madder root, Brazilian clay. Hello, my daughter has chronic eczema, so when her skin is "good" she uses this lovely scented gentle soap. It is a treat for her and being a teenager she loves the scent. Thankyou for this simple joy!